One (1) Study Journal, featuring ALL graphic illustrations and key points +++. MOT 101 with 30 Study sessions (30 weeks of content) with one (1) Study Journal PLUS the OTI Small Group Leadership Facilitation Training (twelve 12-minute sessions and companion chapters in the Study Journal) to prepare your small group leaders. A MUST HAVE personal printed MOT 101 Study Journal for the each Video Teaching Session that includes ALL graphic illustrations and key points. Designed to enhance personal engagement with the teaching, this system uses “fill-the-blank” on each page with additional space for personal notes and insights included in the LIFE Application portion following each session. MOT 101 Disc Two is the second module of the Men On Target Curriculum's Sessions 11-20. Each 12-minute session builds on the foundational teachings of MOT Volume One and every session is followed by Life Application questions for small group discussion and personal reflection. 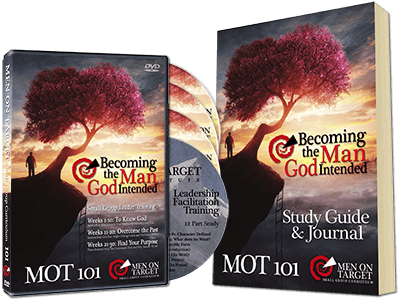 MOT 101 Disc Three is the second module of the Men On Target Curriculum's Sessions 21-30. 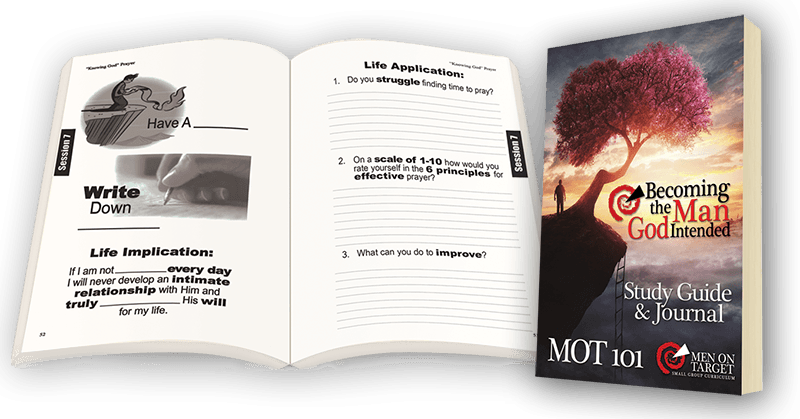 Each 12-minute session builds on the foundational teachings of MOT Volume One and every session is followed by Life Application questions for small group discussion and personal reflection. Leadership Facilitation Training series is ideal for all types of small groups including the OTI Men's groups, church bible study small groups, and youth small groups.